Couples looking for an adventurous trip with rugged natural beauty, numerous opportunities for viewing wildlife and a bit of history thrown in will love an Alaska honeymoon. An Alaska honeymoon is the perfect choice for outdoorsy couples. With a gorgeous landscape that’s filled with mountains, glaciers and ice fields, couples will have endless of outdoor activities, (like hiking, kayaking and skiing) to choose from. Nature lovers will also love an Alaska honeymoon because the state is known for its abundant wildlife and iconic Northern Lights. 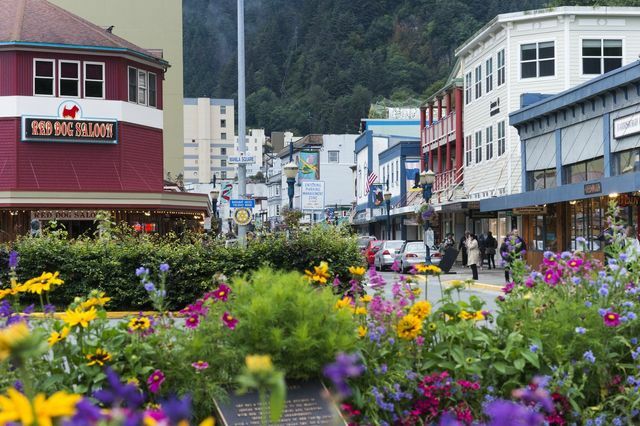 Along with its stunning scenery and natural beauty, Alaska also has a variety of museums and cultural centers to check out. So, if you’re an active couple looking for a destination with jaw-dropping views and natural beauty, then we suggest planning an Alaska honeymoon. All in all, an Alaska honeymoon offers a truly unique American experience and will certainly make for a memorable trip of a lifetime. The best and most popular time for an Alaska honeymoon is during the summer from late May to mid-August. During this time the weather is the most favorable, since temperatures stay in the high 70s during the day and then drop to the 60s at nighttime. If you’re looking for winter activities and hope to brave the cold during your Alaska honeymoon, then we suggest visiting from December to March. Denali: The tallest mountain in North America and soars to more than 20,000 feet above sea level. Kenai Fjords National Park: This park contains one of the nation's largest ice fields and opportunities to see a large variety of wildlife. Alaska Wildlife Conservation Center: An animal refuge offering a home to a number of wildlife species and open to visits by the public. Mendenhall Glacier: A large glacier near Juneau with wildlife, icebergs, hiking trails and waterfalls. Alaska SeaLife Center: A large, public aquarium and the state’s only permanent marine rehab center. Alaska Native Heritage: Center An education and cultural center with exhibits that tell the story of Alaska’s various native peoples. Kincaid Park: A large city park in Anchorage that features multi-use trails, sports facilities, beaches, and forests—perfect for an Alaska honeymoon. University of Alaska: Museum of the North A public museum dedicated to the historic, cultural and artistic heritage of the state. White Pass and Yukon Route: An isolated narrow-gauge railroad that links Whitehorse in Yukon to the port city of Skagway. Tony Knowles Coastal Trail: An 11-mile, paved recreational trail used for walking, running, rollerblading and cycling. Totem Bight State Historical Park: A state park on the site of a traditional Native campground known as Mud Bight Village. Totem Heritage Center: A museum in Ketchikan with the world’s largest collection of original, unrestored totem poles from the 1800s. Fountainhead Antique Auto Museum: A museum with guided tours of historic automobiles and other exhibits. Sitka National Historical Park: A park dedicated to the Tlingit and Russian people groups living in this part of Alaska.